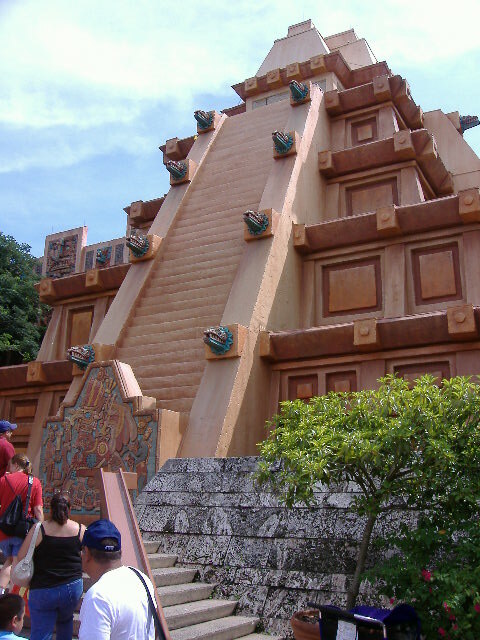 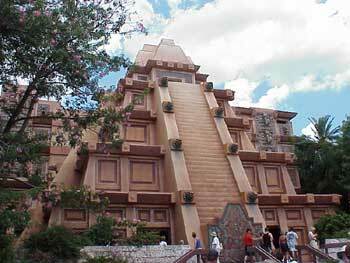 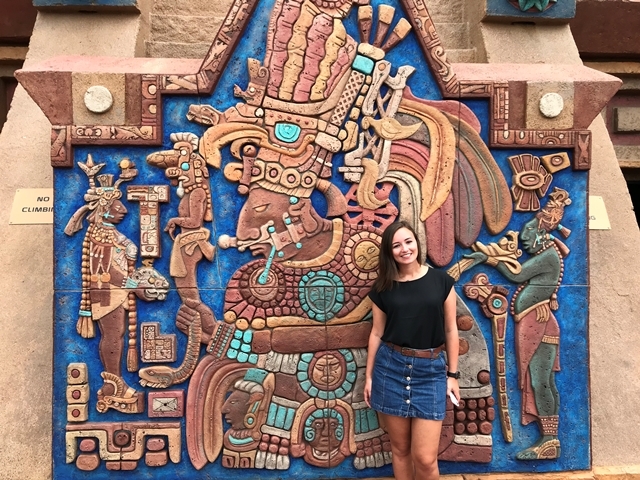 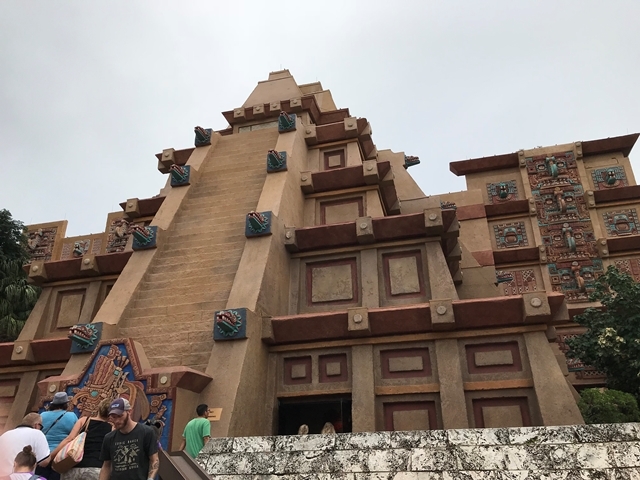 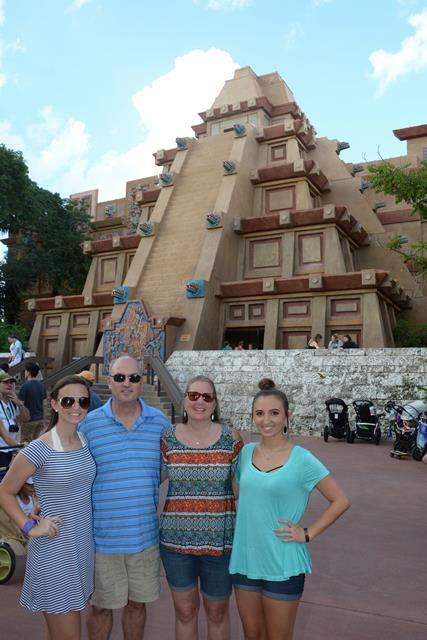 A pre-Colombian pyramid surrounded by lush landscaping fashioned after a Yucatan jungle is your first introduction to the Mexican pavilion. 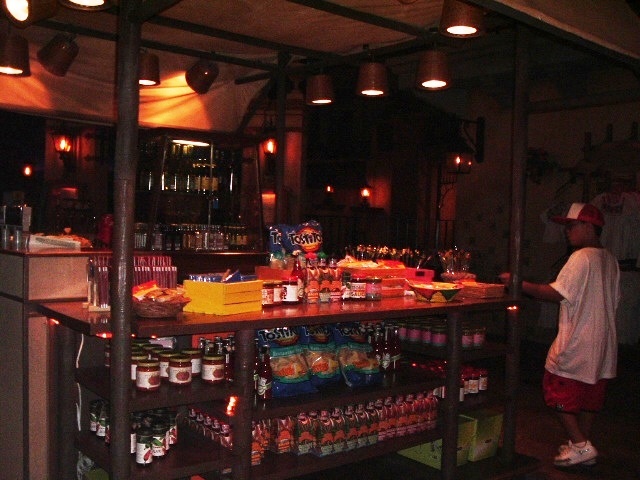 As you enter the mercado, the Plaza de Los Amigos, your senses are assailed by the splash of color from the wares of the vendor's carts and the moonlit twilight scene of the village with the smoking volcano and the grand Mayan pyramid in the background. 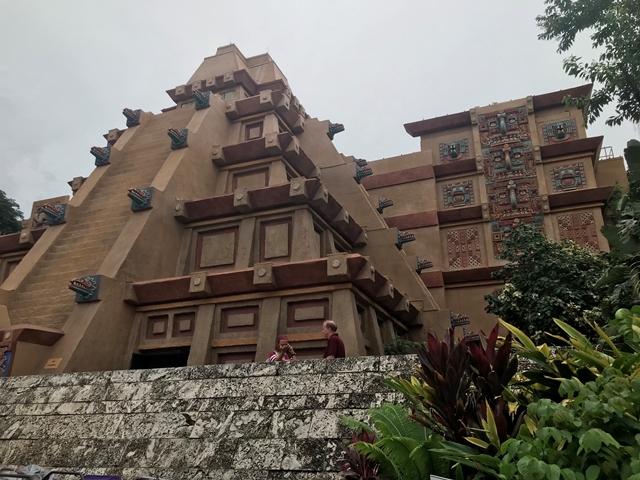 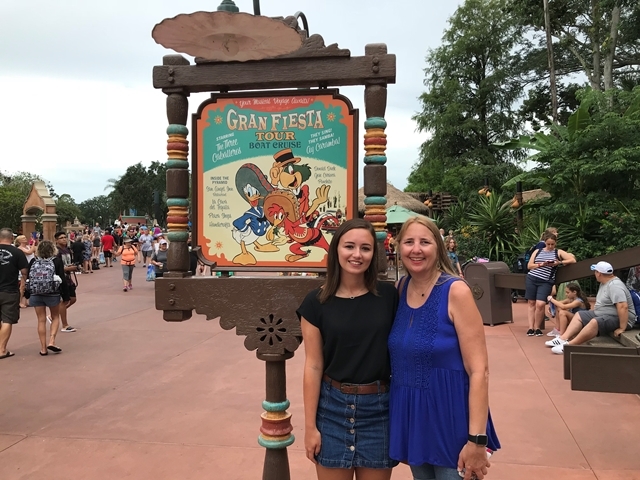 You'll hear the rhythms of the mariachi band and smell the scent of the spicy and savory traditional Mexican dishes that waft over from the San Angel Inn restaurant. 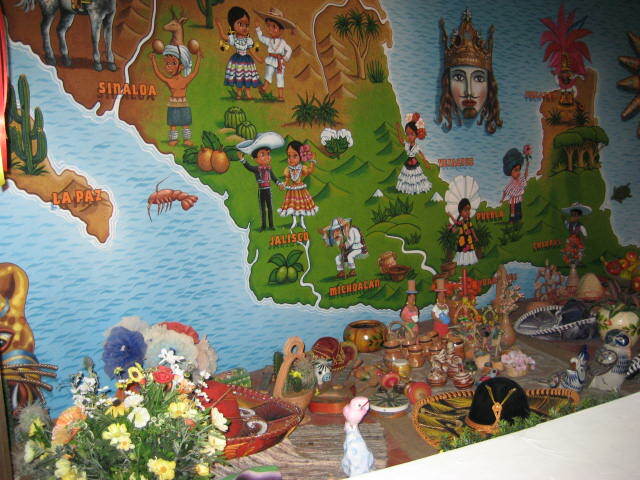 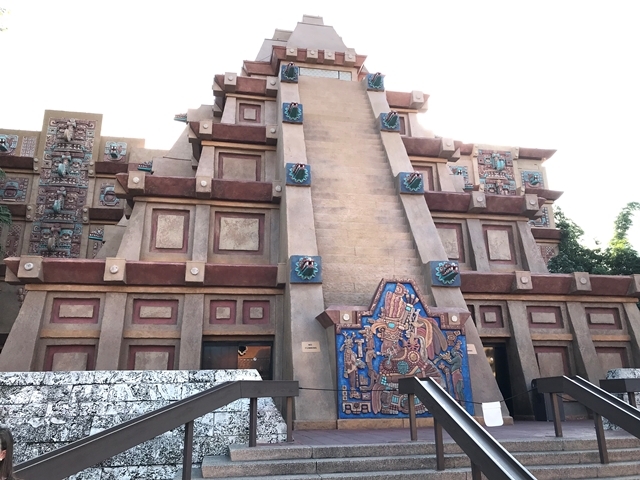 "El Rio del Tiempo" takes you on a boat ride through the River of Time as you explore the history of Mexico through the use of Audio-animatronic dolls dancing and performing, tourism films and scenes depicting Mexico's past. 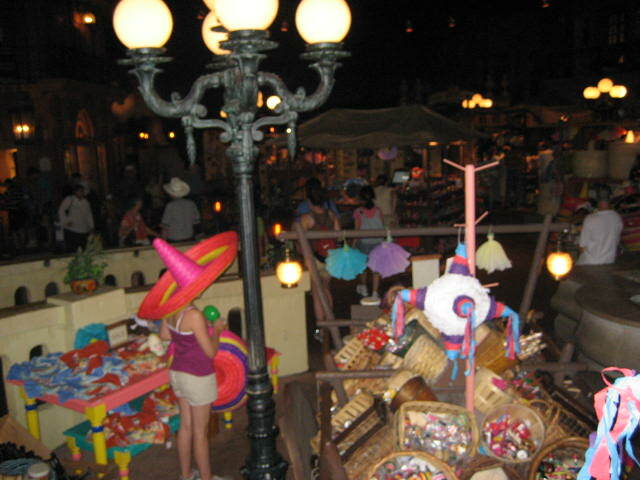 The 6 minute cruise is both simple and relaxing and finishes with a brilliant fiber optics supplied fireworks display. 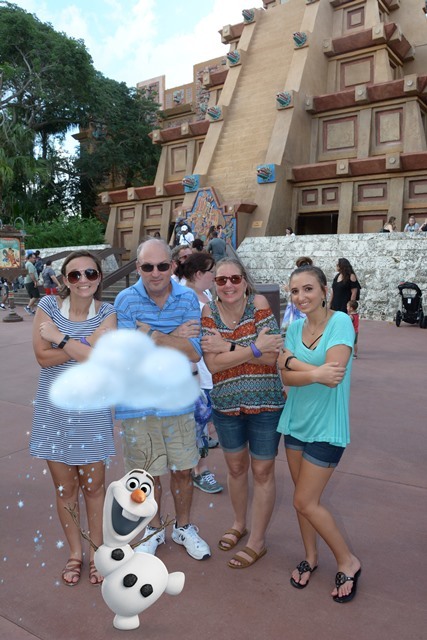 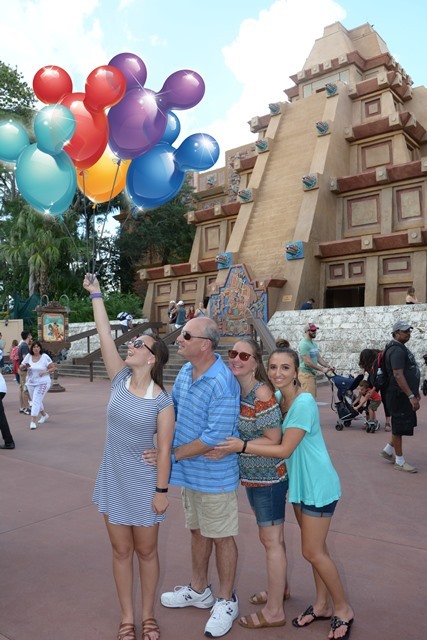 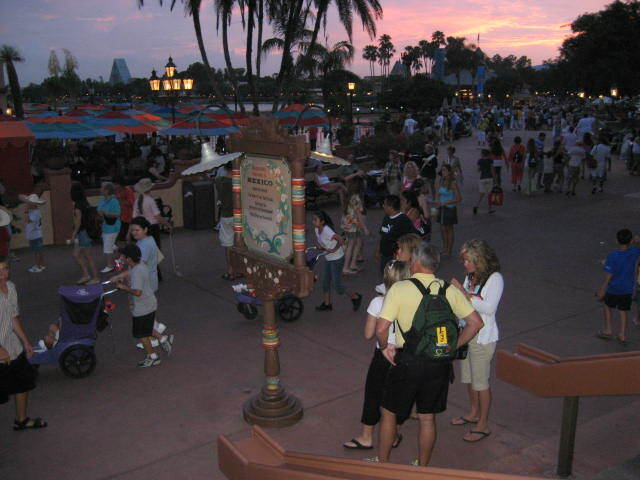 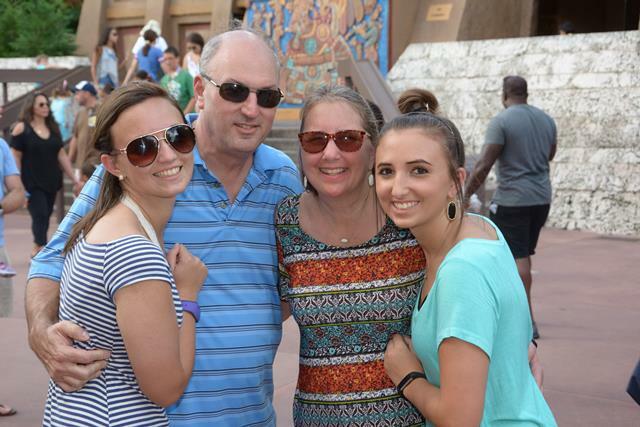 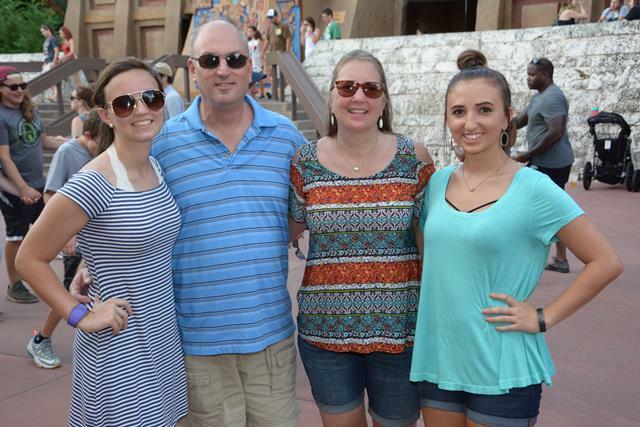 Guests using ECVs must be able to transfer to the attraction. 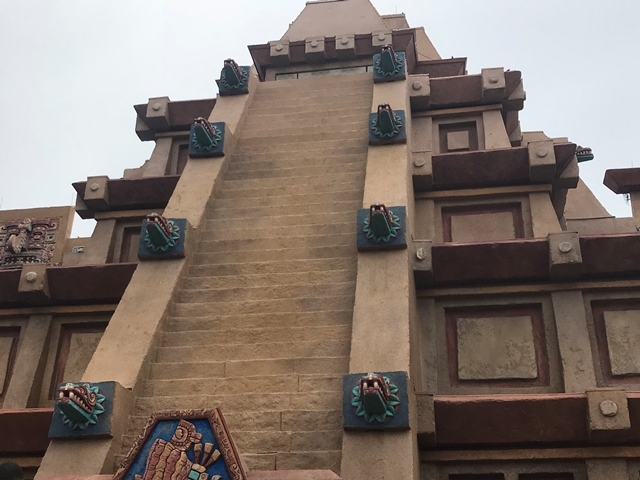 Regional Mexican dishes featuring beef, chicken and seafood served in traditional Mexican sauces and spices are served for both lunch and dinner at the San Angel Inn Restaurant. 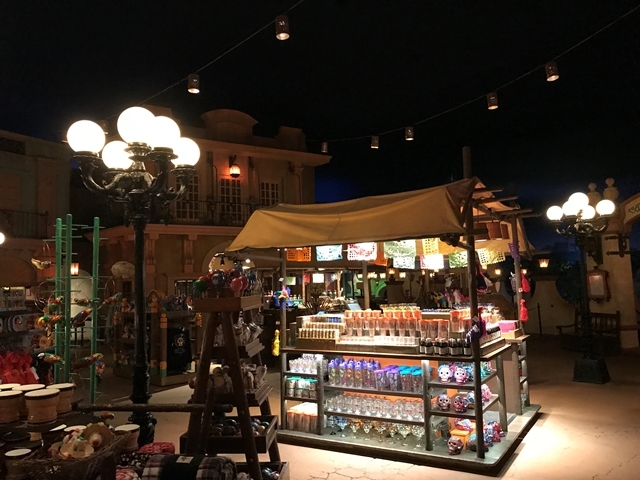 In accordance with the twilight scene of the plaza, the restaurant that overlooks the plaza and the boat ride is very dark and romantic with lanterns on the tables providing the light. 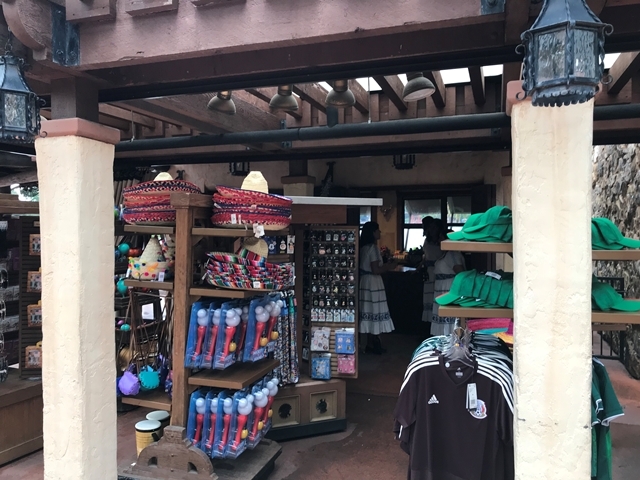 For lighter fare, the Cantina de San Angel, outside across the pathway serves such Mexican favorites as tacos, churros, tostados, Mexican beer and margaritas in the outdoor café. 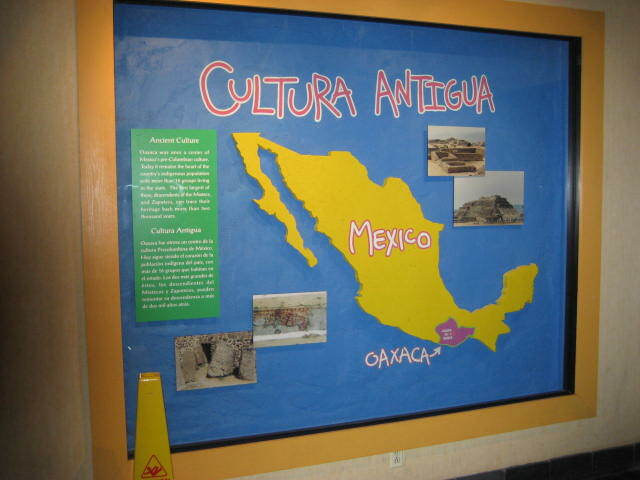 Guests may walk through the "Art of Mexico" to view the many authentic artifacts and national treasures of their homeland. 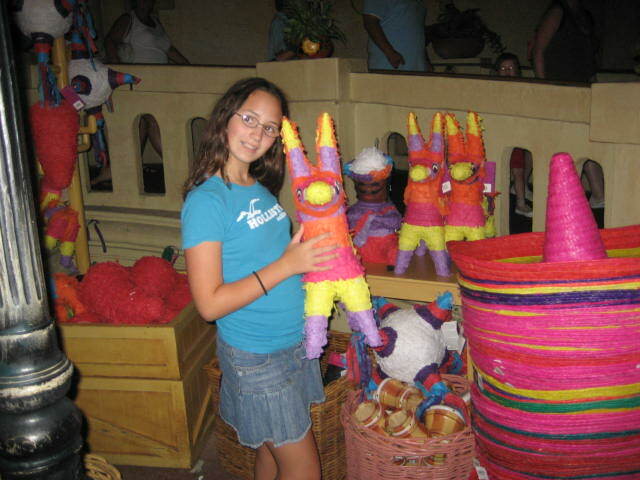 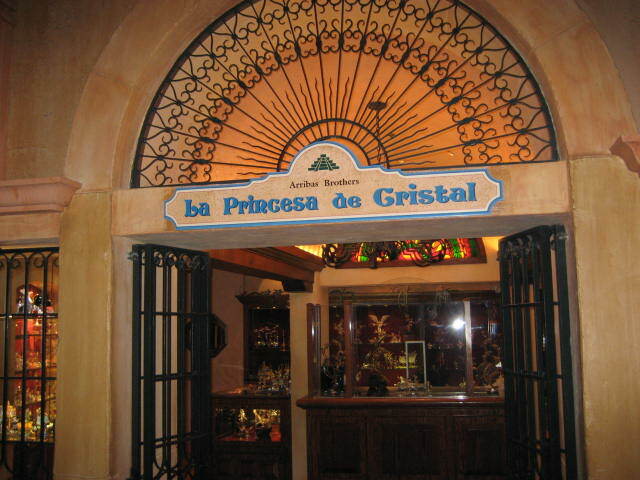 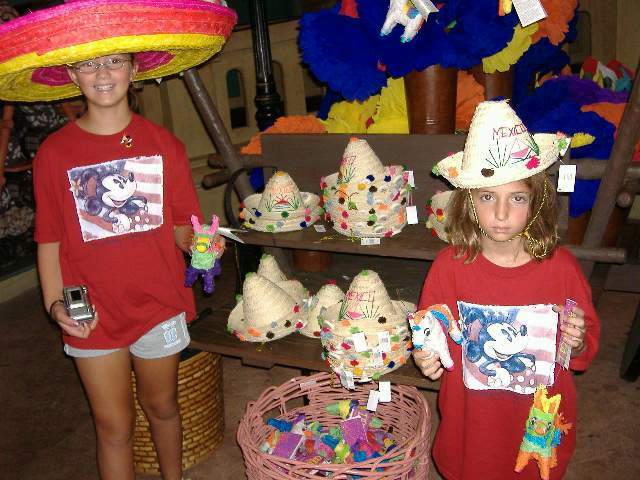 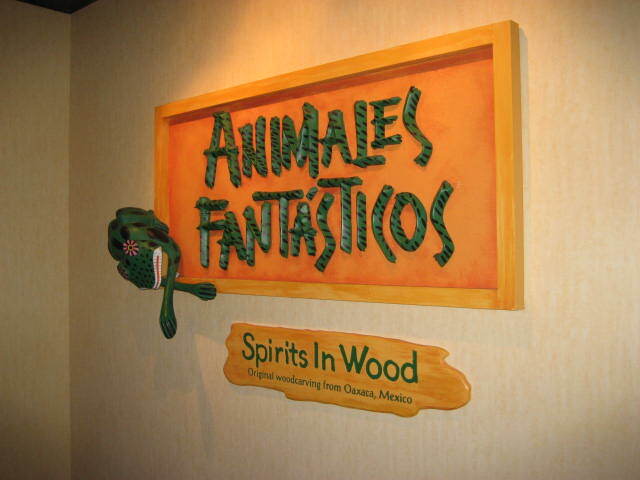 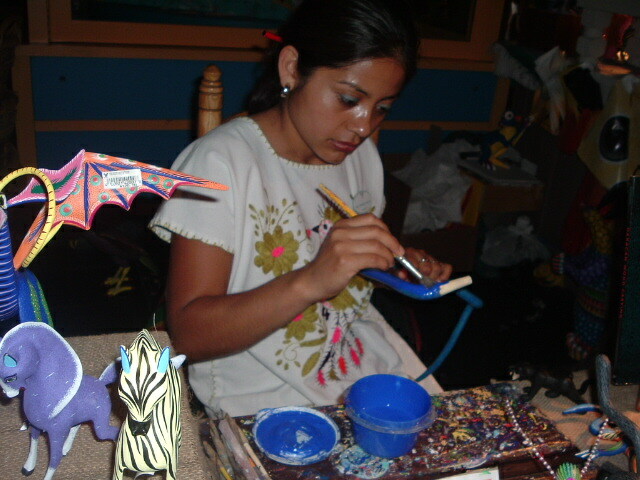 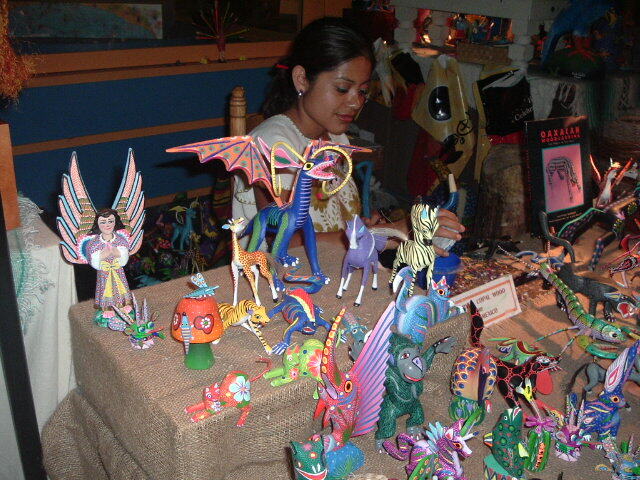 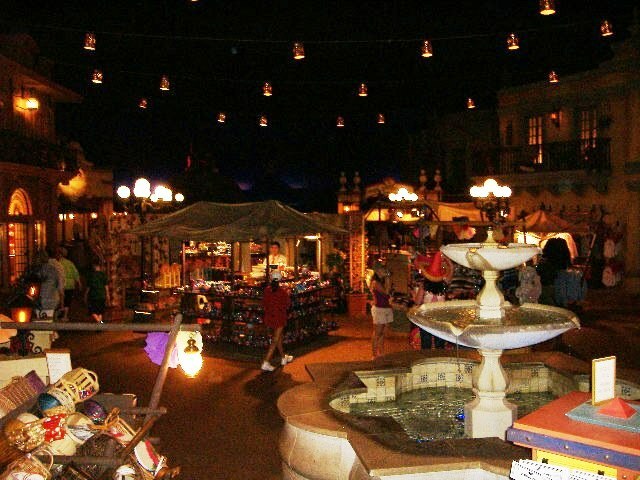 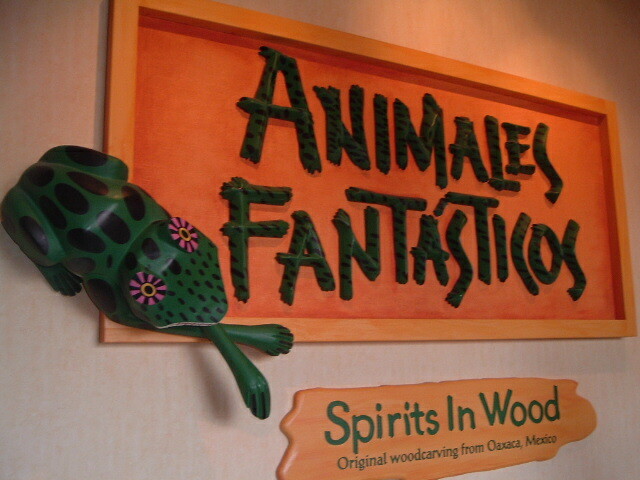 The Plaza de Los Amigos offers some authentic Mexican souvenirs and treasures. 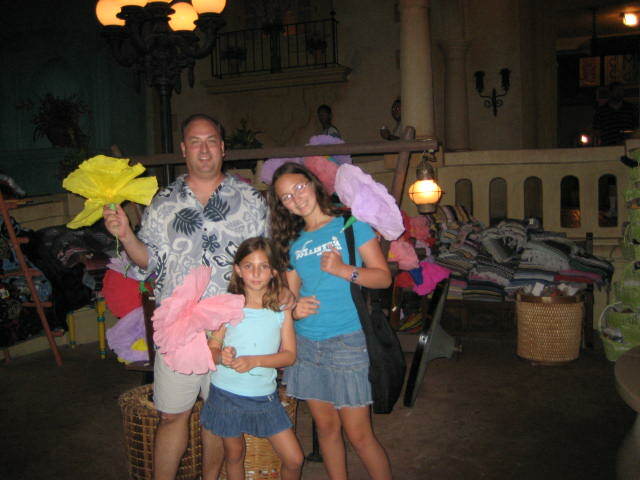 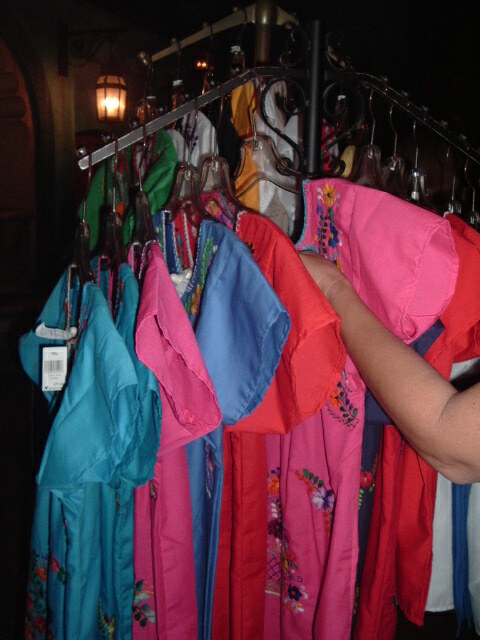 In the Artesanias La Familia Fashions you'll find casual Mexican styled clothing and jewelry for women and children. 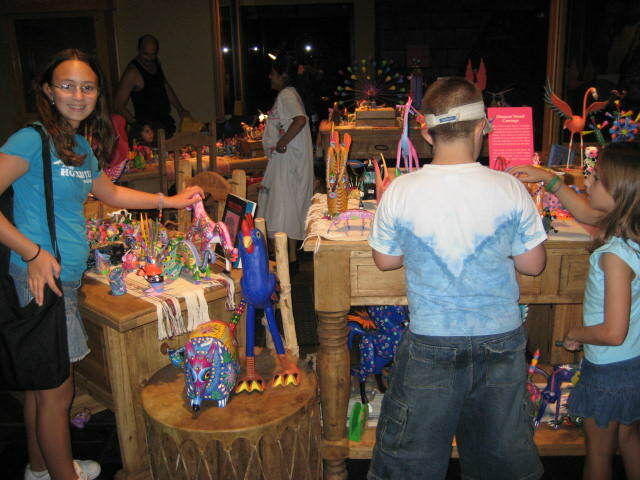 Souvenirs and gifts from Northern Mexico are found in El Ranchito del Norte. 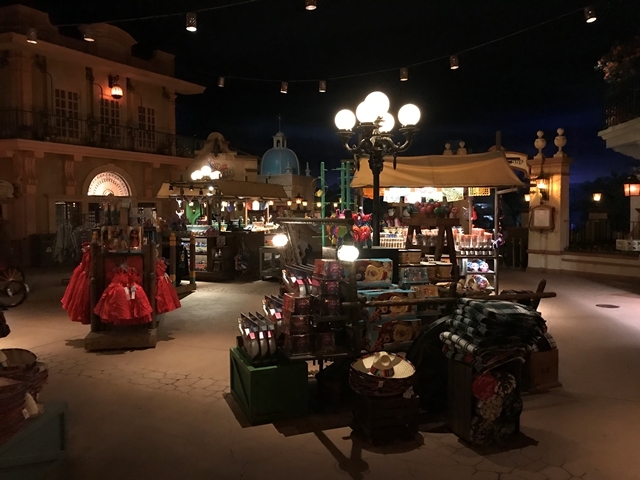 Vendor's carts offer home décor gifts, silver jewelry and other Mexican souvenirs such as sombreros, piñatas, pottery and worry dolls. 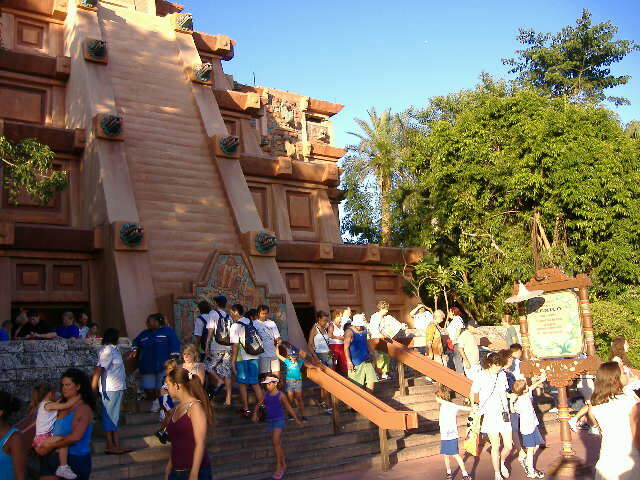 All areas of Mexico are wheelchair accessible. 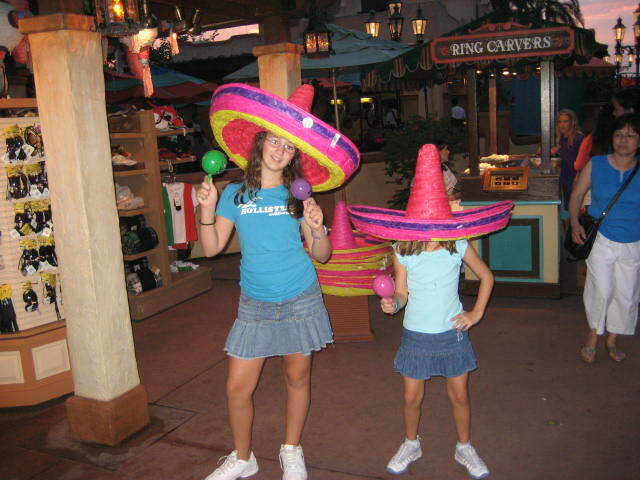 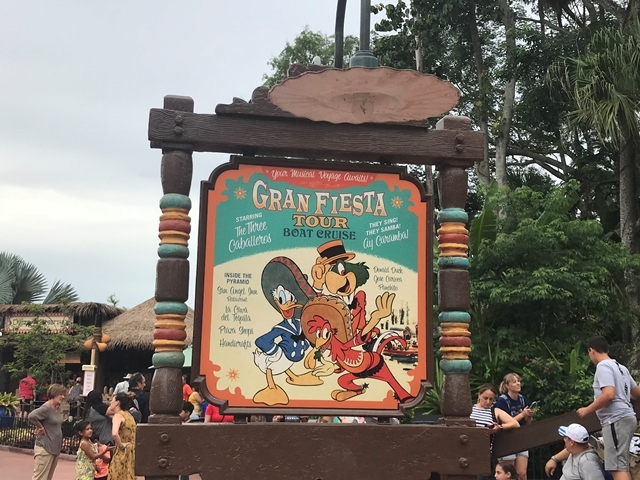 TIPS: Donald Duck, clad in the traditional Mexican sombrero and serape, can often be seen here signing autographs. 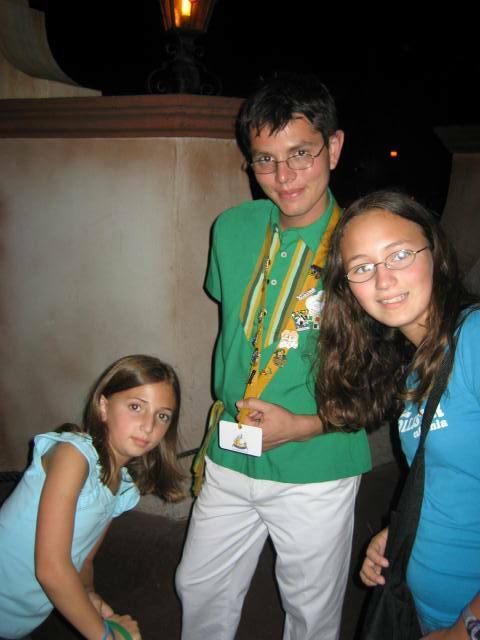 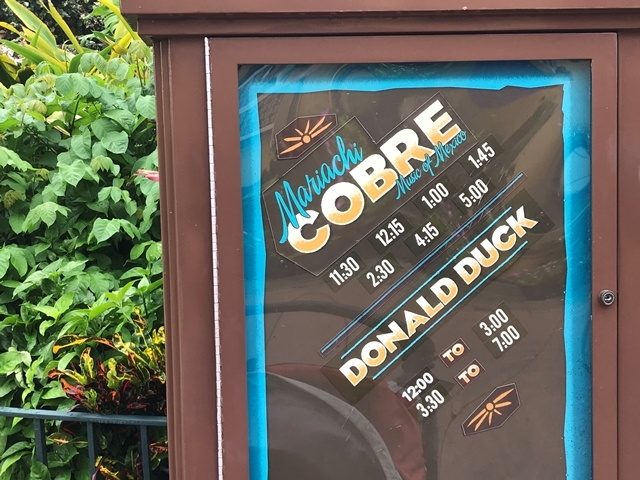 Donald is not often seen in the parks, and is usually easily accessible when signing autographs in Mexico. 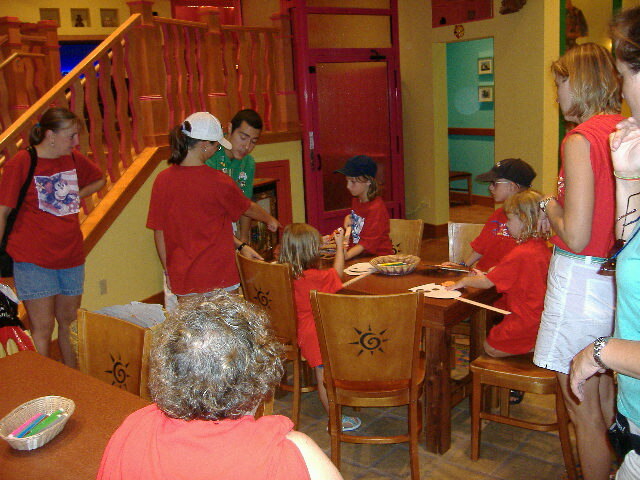 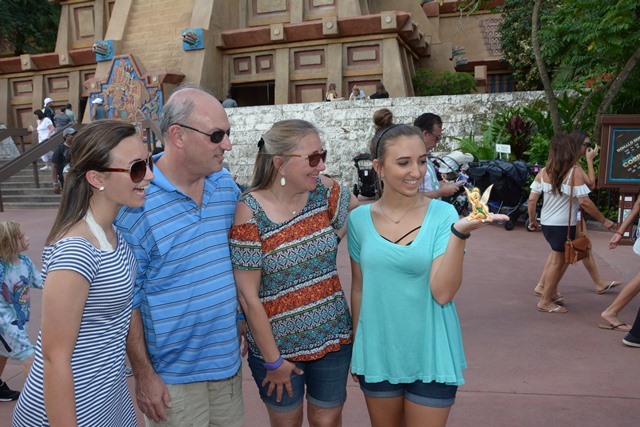 To say “hello” in Spanish, say “hola” (OH-lah).Kids love greeting the Cast Members in their native language.